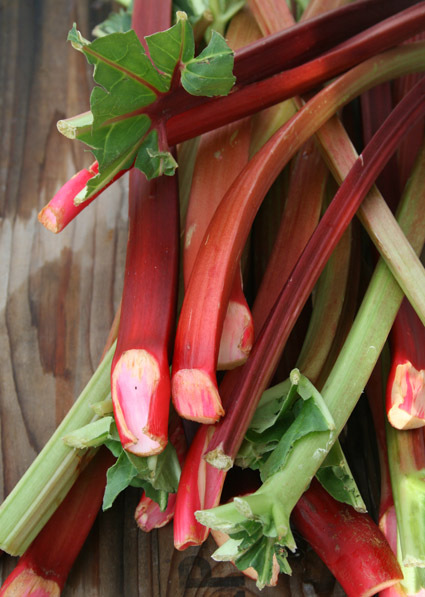 Hi Lynda, must be that time of the year – I’ve been making rhubarb chutney today – and agree with you, where are those luscious red stemmed rhubarbs, I too have a crop of pinky/green – but those chunky red stems are to die for, or at the very least, commit a crime!! Don’t have enough live stock, but last year fed my rhubarb alpaca poo and it certainly liked that – any suggestions for a non rural gal for feeding, apart from sheep pellets and the occasional wilted old comfrey leaf or two. I just admire your constitution – with lugging your baby belly around, writing your columns making apple dumplings etc you put the rest of us to shame. I had a great red rhubarb plant in my city garden but moved it and killed it (oops).